Today is (likely) the last birding adventure and blog update for 2013. I’ve done the final species audit and researched what unidentified birds I had notes on. I decided to make my last concerted birding effort at Merritt Island National Wildlife Refuge. Specifically, I drove the Black Point Drive loop. I have mixed feelings about Black Point. On the one hand, it is a very handy way to see birds. On the other, it’s about 40 minutes to an hour of slow driving, buring gasoline all the way, unless you turn off the engine for longer observing periods. I was excited to see the Northern Pintails. They are very distictive and something I had hoped to see in an earlier trip to Pine Island. 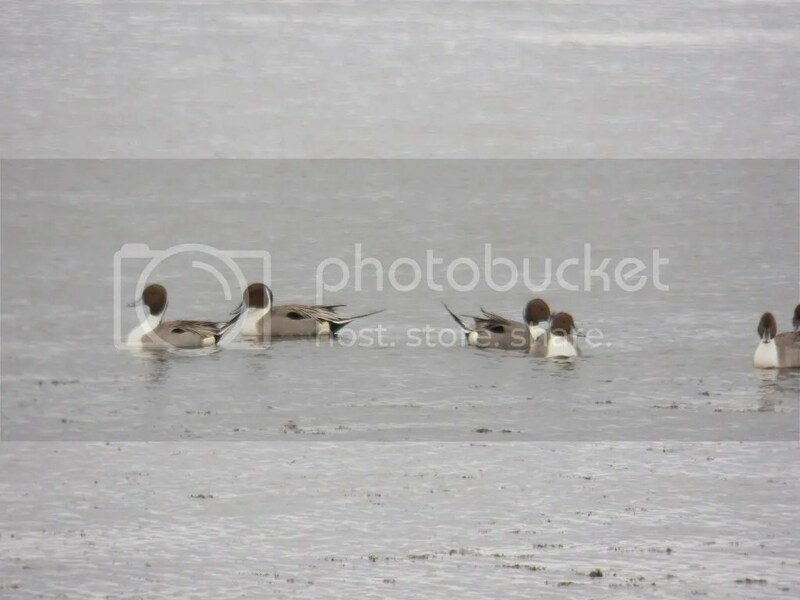 Of all the ducks I have seen, the pintails seemed to be the most synchronized in their foraging, so quite a few of my photographs show all the pintails with their heads underwater at the same time. 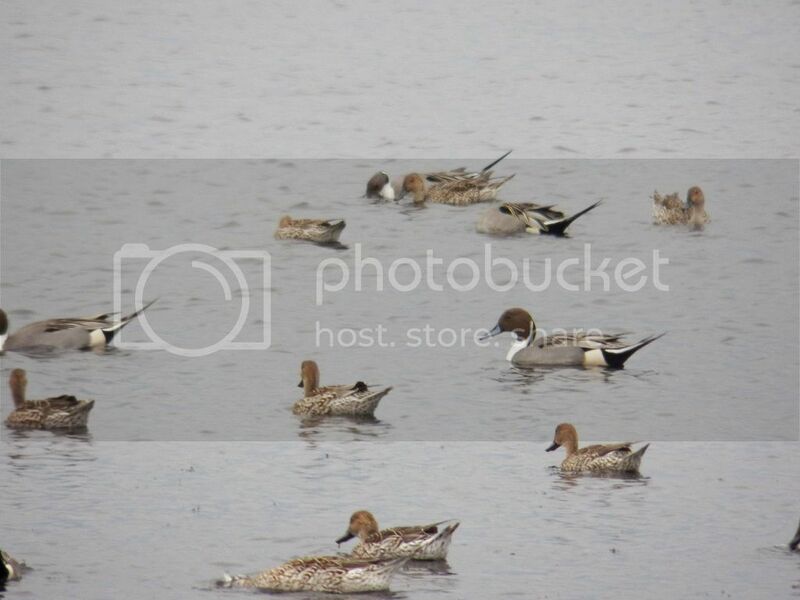 Female and male Northern Pintails. I don’t have very many good photographs, as the birds tended to stay far away, and the lighting was bad due to a very thick and low overcast. Most of what I took was for me to use later for verifying identification. 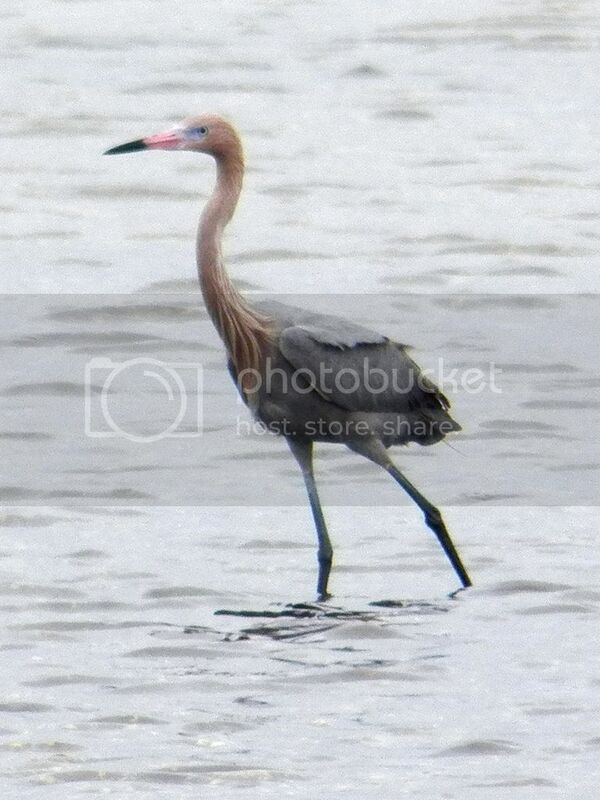 Here are some photographs of herons that came out looking pretty good, though. 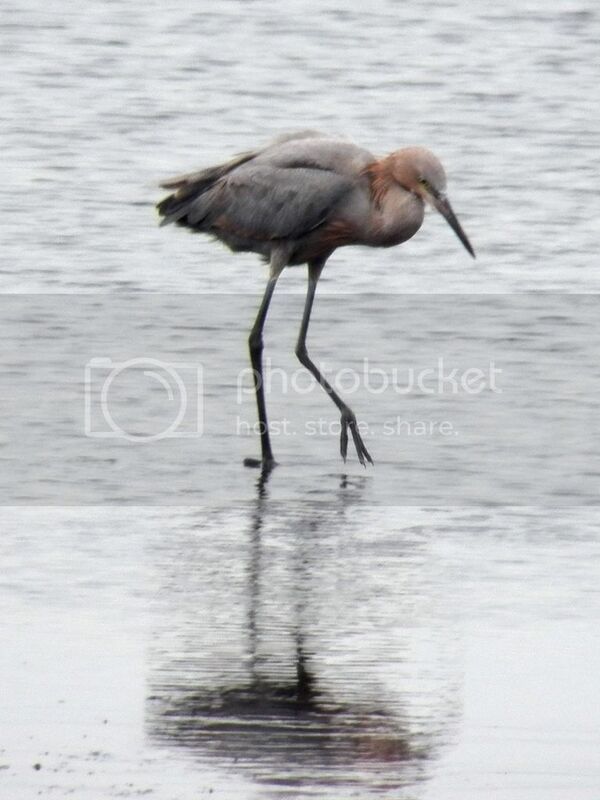 Interstingly (to me) I did not see a single Great Blue Heron this morning. 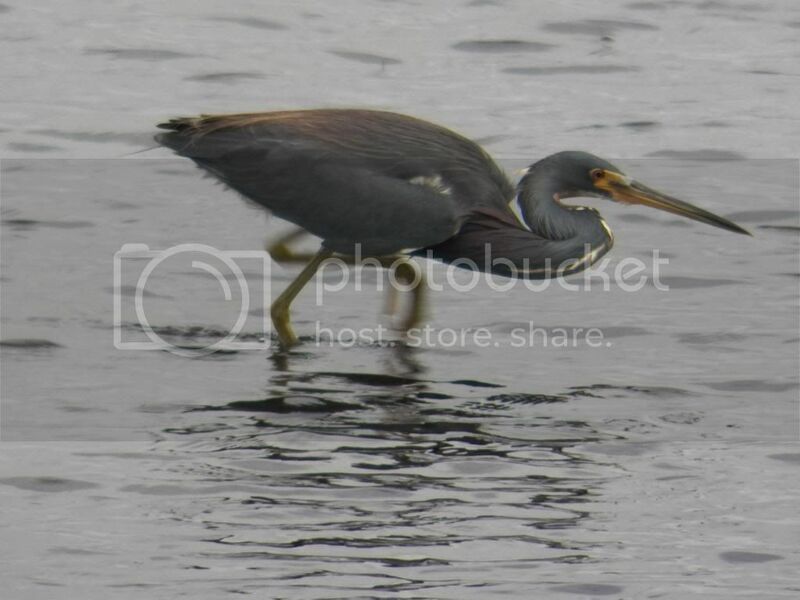 Tri-colored Heron lunging for food. 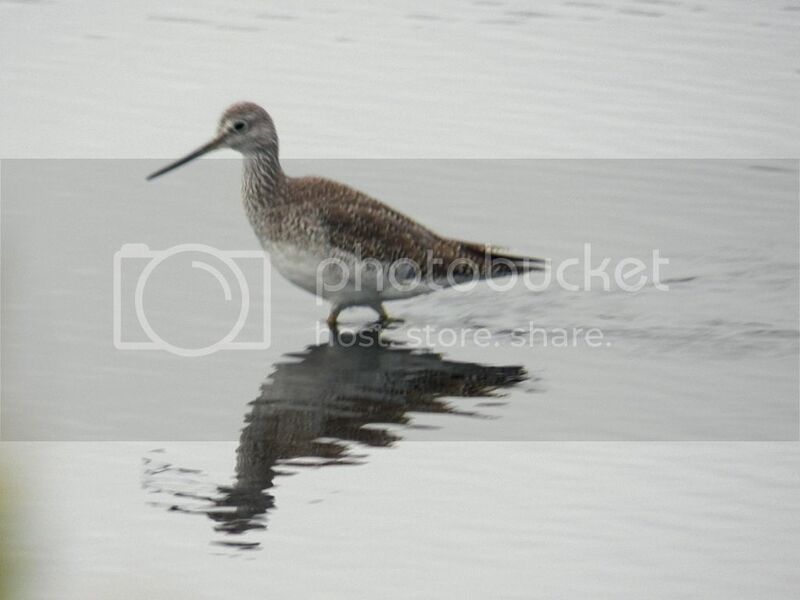 There were large flocks of sandpipers as well (hundreds), but they were too far away to ID even by binoculars. The White Pelicans were numerous both in the air and rafting quietly on the water. Their size always amazes me. As with their cousins, the Brown Pelicans, White Pelican are surprsingly graceful on the wing. 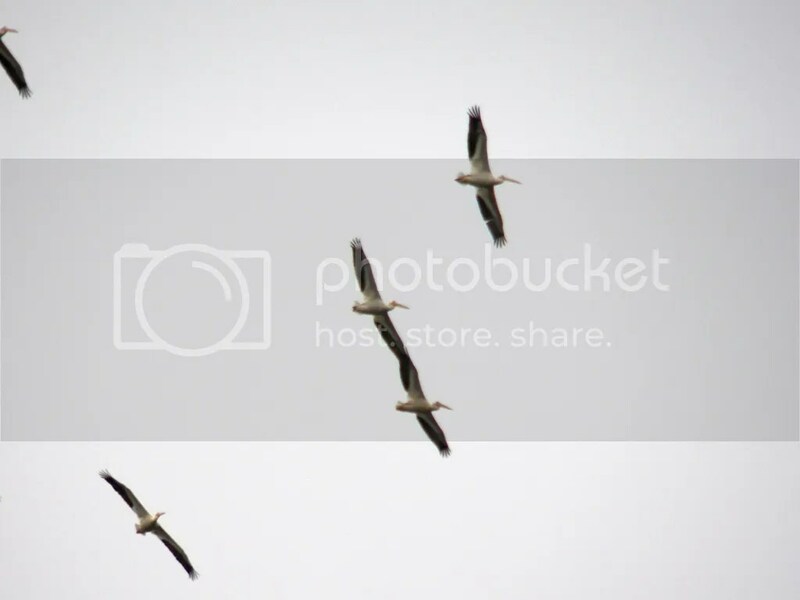 White Pelicans soar above Merritt Island. The (likely) final 2013 species count is 149. While it’s certainly possible I might see a new bird for this year some time tomorrow thus rounding off the count to 150, I’m not counting on it (no pun intended, ha ha). Happy, healthy and birdy New Years to all of you. Thanks for sharing in my birding adventures this year. Things will heat up pretty quick for 2014 at the Space Coast Birding & Wildlife Festival near the end of January. 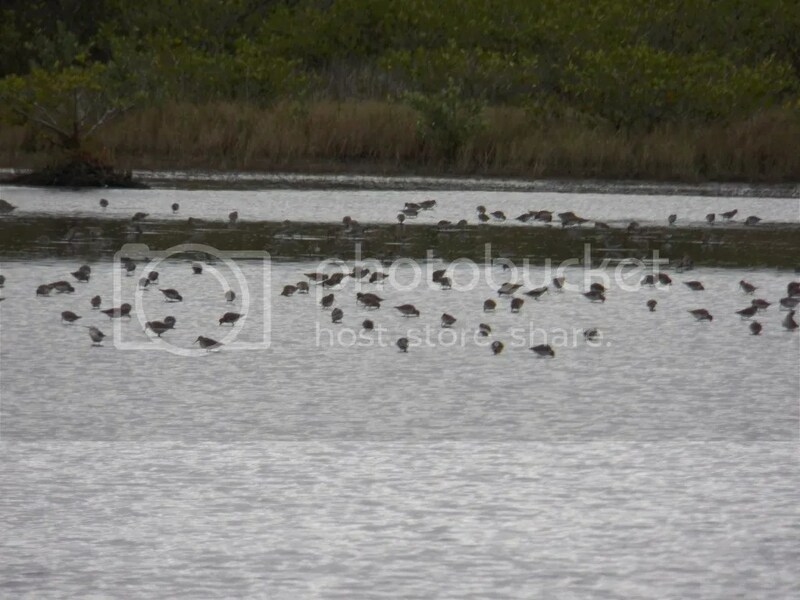 Posted on 2013 December 31 by Lonely BirderPosted in BirdingTagged Happy New Year, Merritt Island National Wildlife Refuge, species count.